The vast and spectacular MacDonnell Ranges make for a perfect outback experience for any traveller. From gorges and waterholes, flora and fauna, hiking and swimming, this day tour has everything one could hope for when exploring the Ranges. Departing Alice Springs, you’ll get to take in the awe-inspiring outback scenery while travelling along the West MacDonnell Ranges. Stopping at historical sites, you’ll experience the immense cliffs of quartzite at Simpson Gap, then travel along to the deep red cleft of Standley Chasm for morning tea. 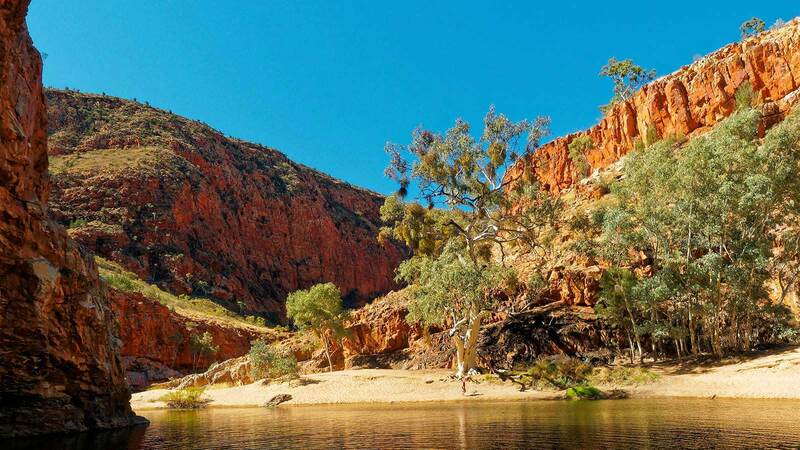 You’ll then learn about the cultural significance of the Ochre Pits and enjoy a catered Ploughman's lunch at the popular outback swimming spot, Ormiston Gorge. Then, on your way back to Alice Springs, you’ll stop and experience the magic of Ellery Creek Big Hole - This waterhole is one of Central Australia’s most pristine, so don’t forget your swimmers in the warmer months! 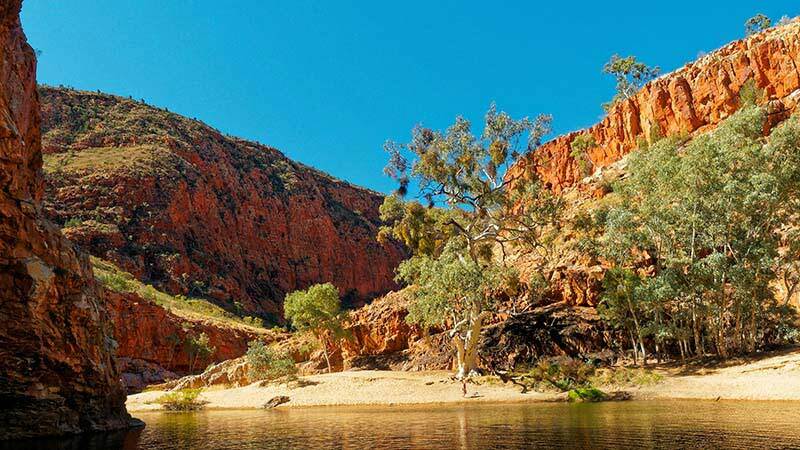 After at Glen Helen Resort, you will visit Glen Helen Gorge and Resort before returning to Alice Springs, taking in the magnificent sights of the afternoon sun reflecting off the MacDonnell Ranges. The tour departs from your nominated Alice Springs accommodation at approximately 7.45am, returning at approximately 5.30pm.